These imprinted jars get them ready for game day in no time – 24HR! 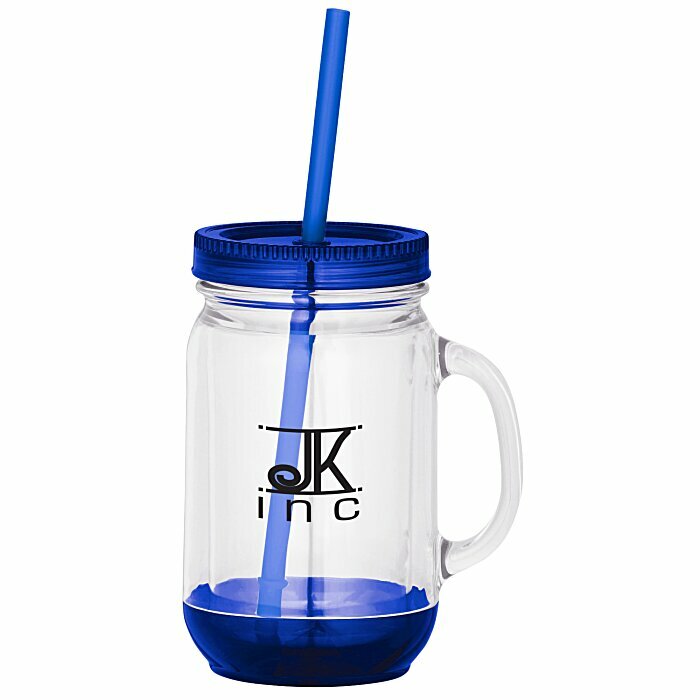 Great for barbecues, tailgates, fairs and festivals, this double-wall acrylic jar is perfect for your company’s next event. Double-wall construction prevents condensation from forming on the outside, even with ice inside! Acrylic is also stain and odor resistant, for long-term usage. Includes a straw with a stopper for easy, spill-free drinking. The screw-on cover comes off easily for refills. 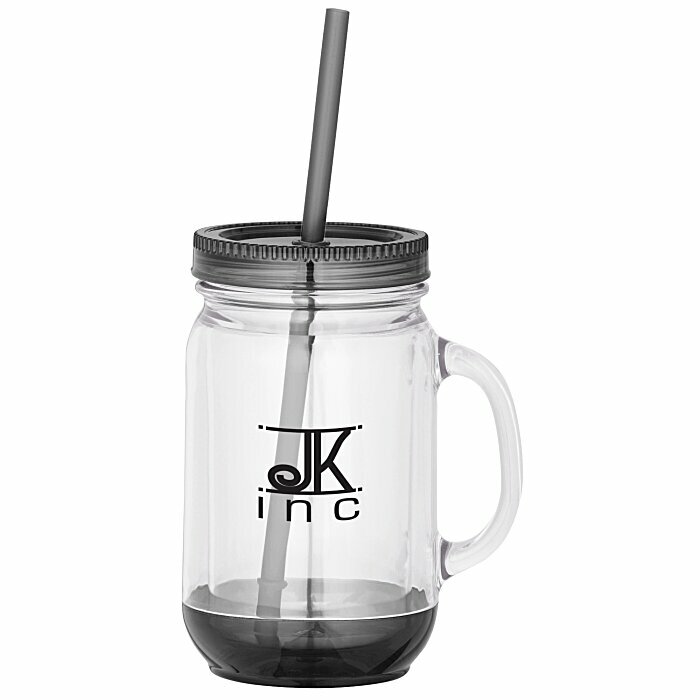 The body of this Mason jar is clear with a colorful lid, bottom and straw. 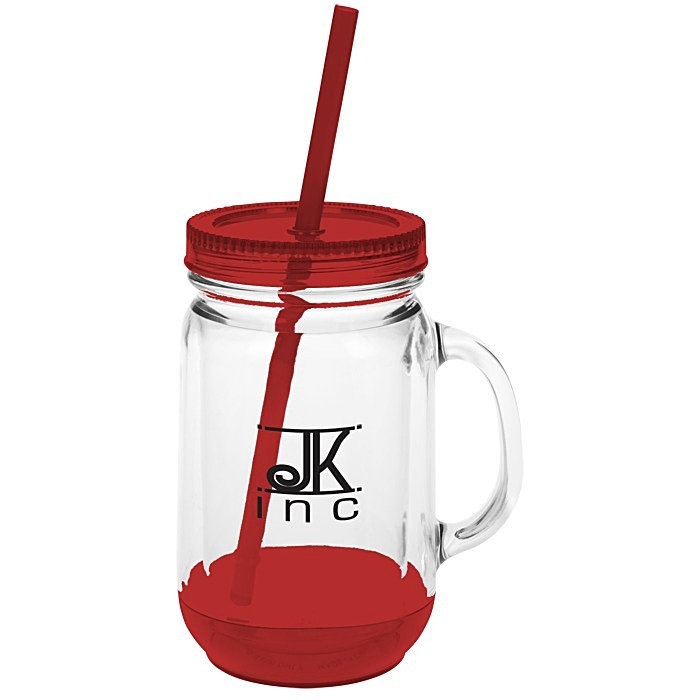 Lid, bottom and straw all color-coordinate and are available in a variety of bright colors. Large side handle makes it easy to grip onto this mug. Made of BPA-free shatter-resistant acrylic (plastic #7), which can be recycled in only a few limited areas; check locally for more information. Your price includes a one-color imprint on the side of the Mason jar.